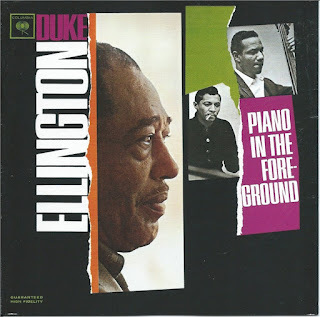 The Sunday Music Muse Day falls on Duke Eliington's birthday. 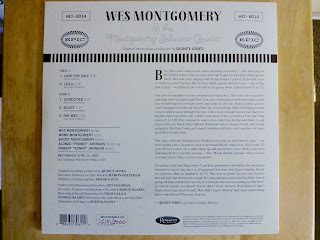 What better way to celebrate that to spin some of my favorite Ellington Album and CDs. Duke Ellington Piano in the Foreground is a favorite because actually like Duke small group sessions, Having Sam Woodyard, my father pictured on the cover is a plus. 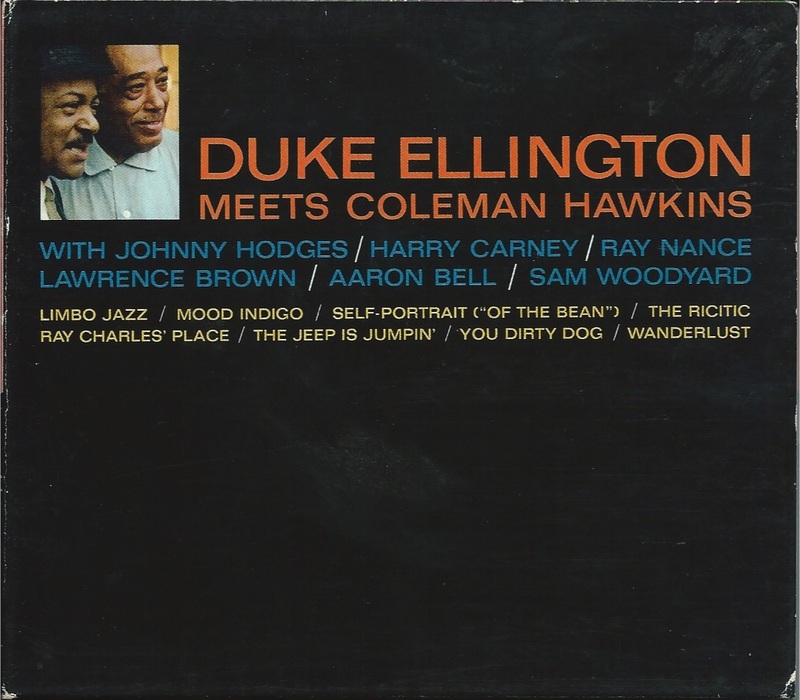 With Duke Ellington meets Coleman Hawkins, the biggest thrill is the first tune"Limbo Jazz", were Sam is heard vocalizing on the tune unaware the he's being recorded. 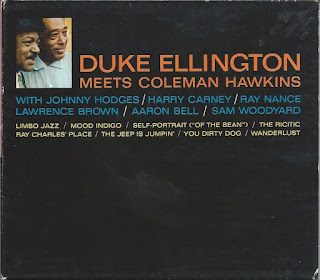 I'm so glad Duke release this cut as is. I always get a kick out of hearing it. 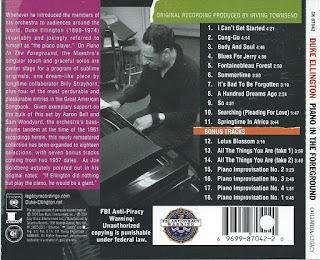 Of course the whole session is full of great playing by everyone. The tune started my friendship with Tom Pethic when I thanked him on air for playing it on Jazz90.1, introduced myself. Thanks, Tom. My finally selection is Duke Ellington Soul Call. 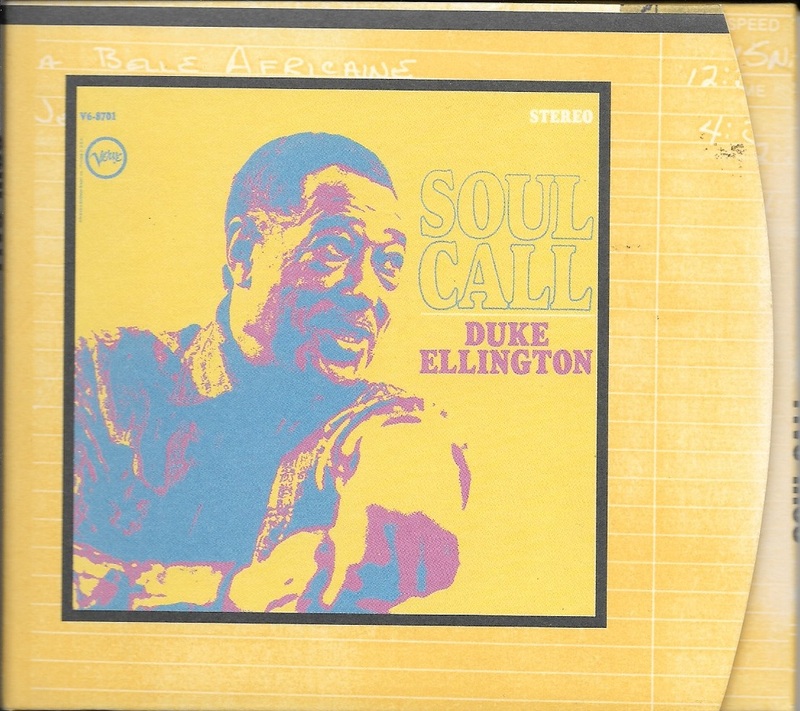 I searched a long time to find the original LP after hearing the first cut La Plus Belle Africaine on a college radio station in the early 70s. 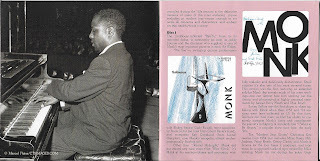 I was digging the drumming, without knowing it was Duke and my father playing on the drums. 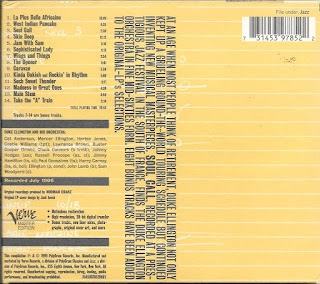 At the time I was more into Rock music, especially Cream, with drummer Ginger Baker, Eric Clapton on guitar, and Jack Bruce on bass. 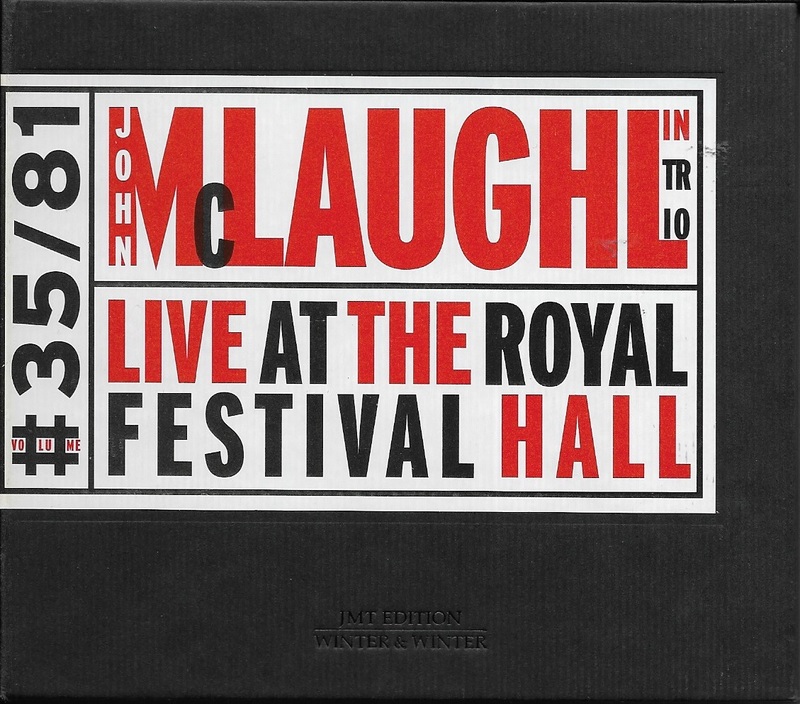 I happily picked up the CD reissue. So, hope you find a way to celebrate Duke, too. 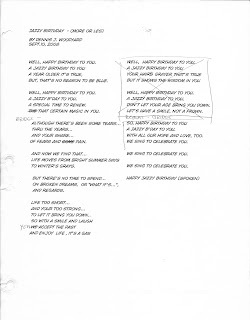 As a Part 2 to this Sunday Muse Day, and in honor of Duke, I sharing a rough version original tune Jazzy Birthday (More or Les). 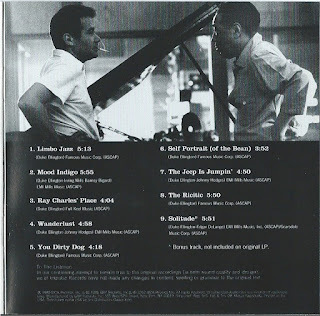 The "Les" in the title refers to a old friend of Les Bernstein, not Les Paul the great guitar player, and father (inventor) of the solid body electric guitar, although it could, also. It's a work in progress. 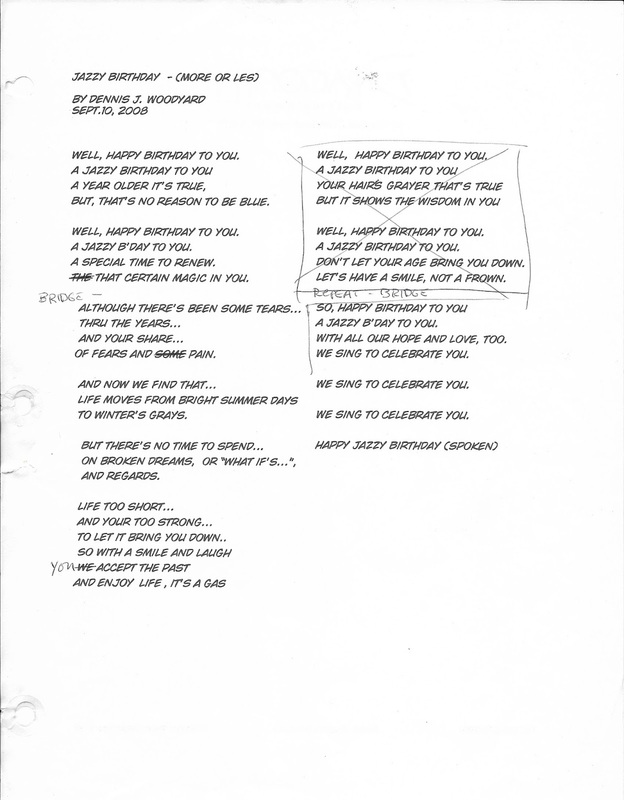 Here are lyrics to this, but they're not ready, well... I'm not ready to torture people with vocals. I could hear Giamono Gates doing it. 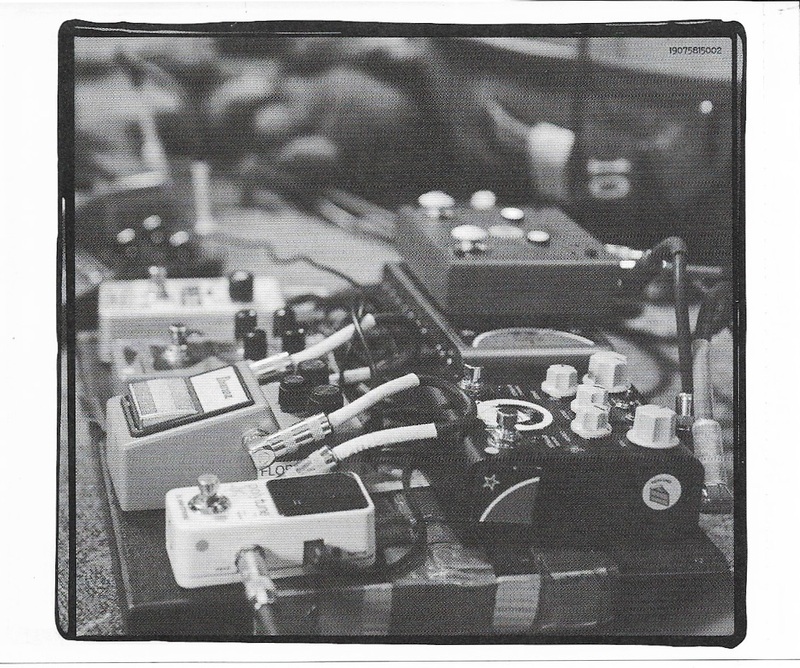 I recently picked up the Band in a Box music program which lets you make backing tracks. 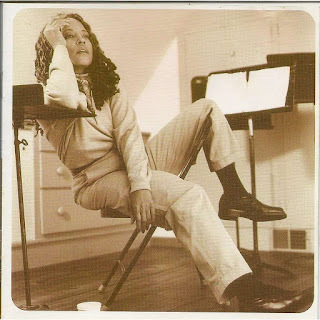 I going to use to put my old unfinished musical ideas down. Sort of a musical "Dime-a-Dozen Project". 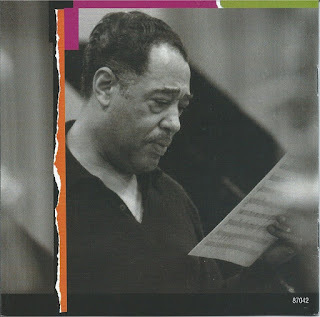 I have scores of half-baked idea collecting dust is folders. A few are dusting off and presenting in some form. 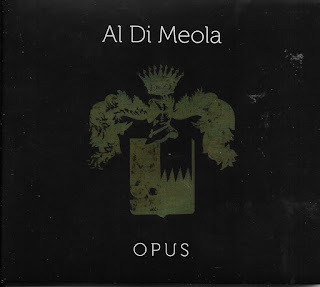 This is actually what I started my Sunday Music Muse Day post to explore my music side. They will never be a perfect, but I hope they're fun. This Sunday Music Muse Day follows the annual Record Store Day celebration. 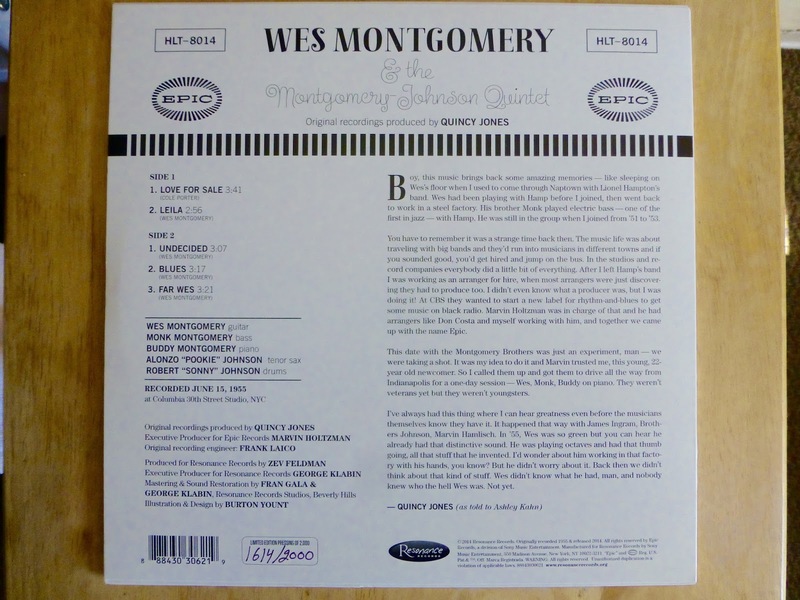 I did my bit by picking up this 10" vinyl LP, Wes Montgomery and the Montgomery-Johnson Quintet. 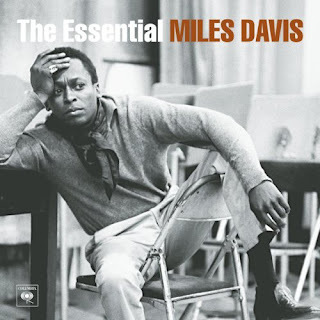 Of course, I love the music, a 1955 session produced by Quincy Jones. 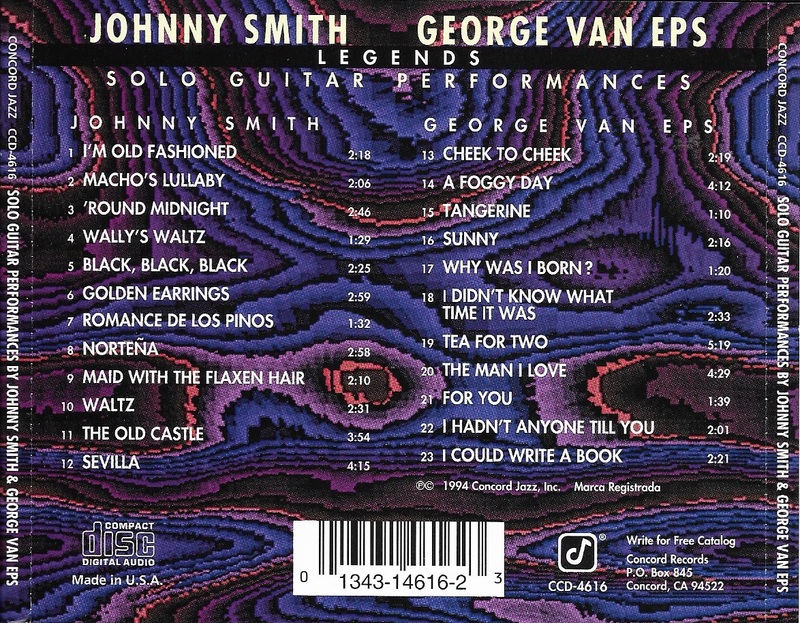 The retro cover art is a big plus. 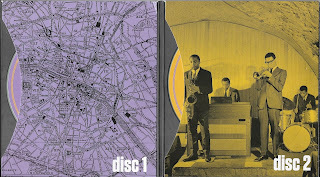 I also picked up two CDs with the common tread of Miles Davis music. 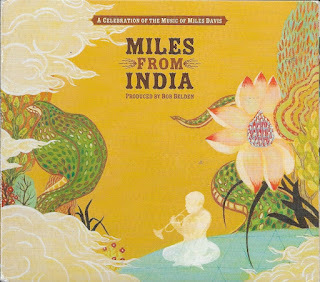 First is Miles from India - A Celebration of the Music of Miles Davis. 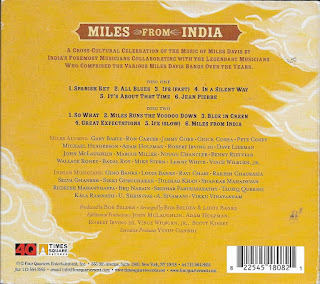 It's 2 CD set that is a collaboration between foremost Indian musicians and former Miles Davis band members, including Ron Carter, Chick Corea, Pete Cosey, Mike Stern, and even John McLaughlin on one cut, he wrote specifically for the recording. 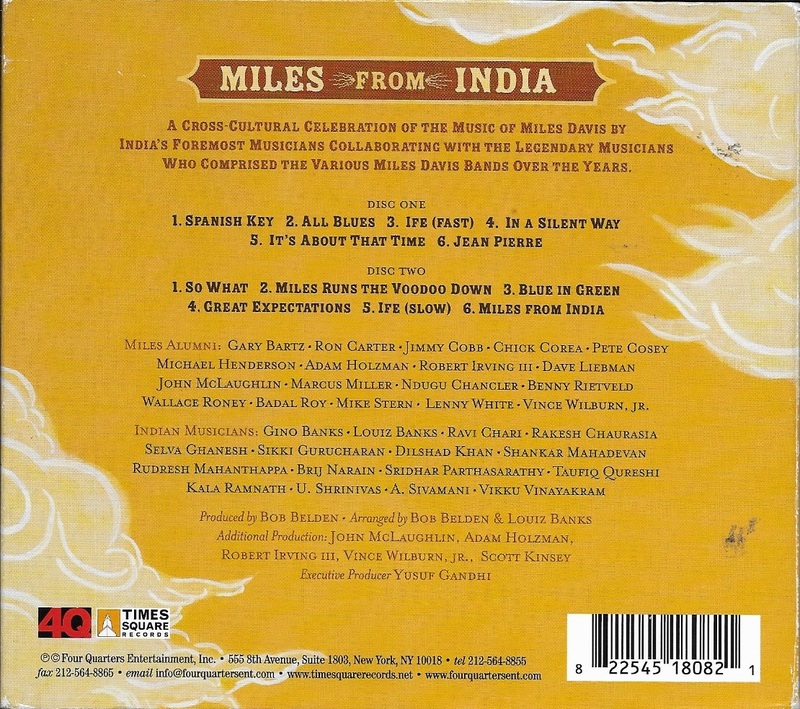 It's interesting to hear this cross-cultural project and marvel it how Miles's strong influence show through. The next Miles influenced pick is Cassandra Wilson Traveling Miles. 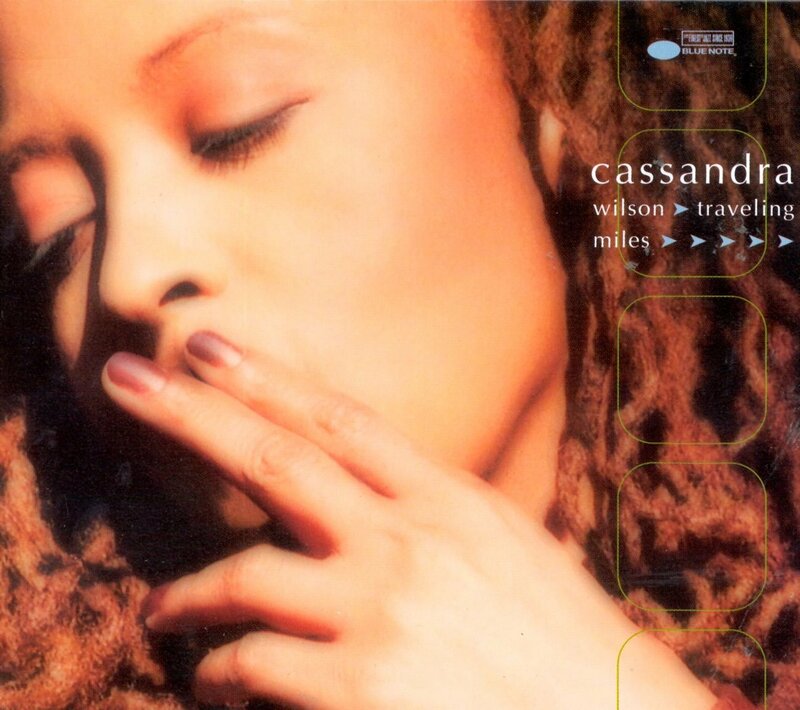 It's a 1999 CD of Miles Davis-inspired songs with words and music by the talented jazz songstress. 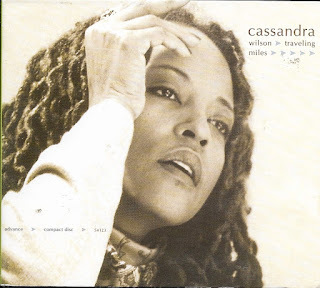 I'm not big on vocal normally, but I like earthy quality of Cassandra Wilson's voice. 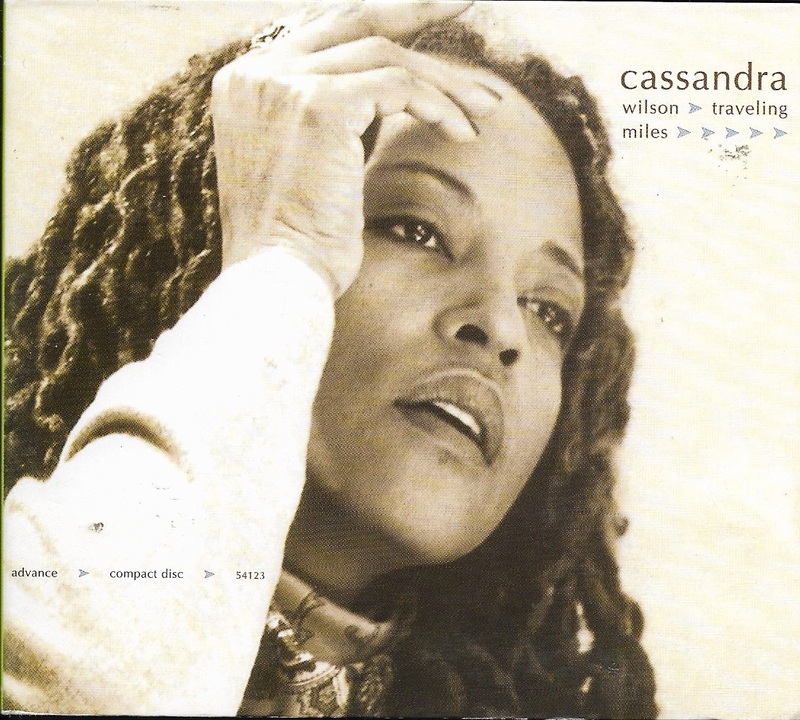 Although she is labeled as a jazz singer her past albums has her interpretations of Rock and Folk tunes. This is a nice tribute to Miles. 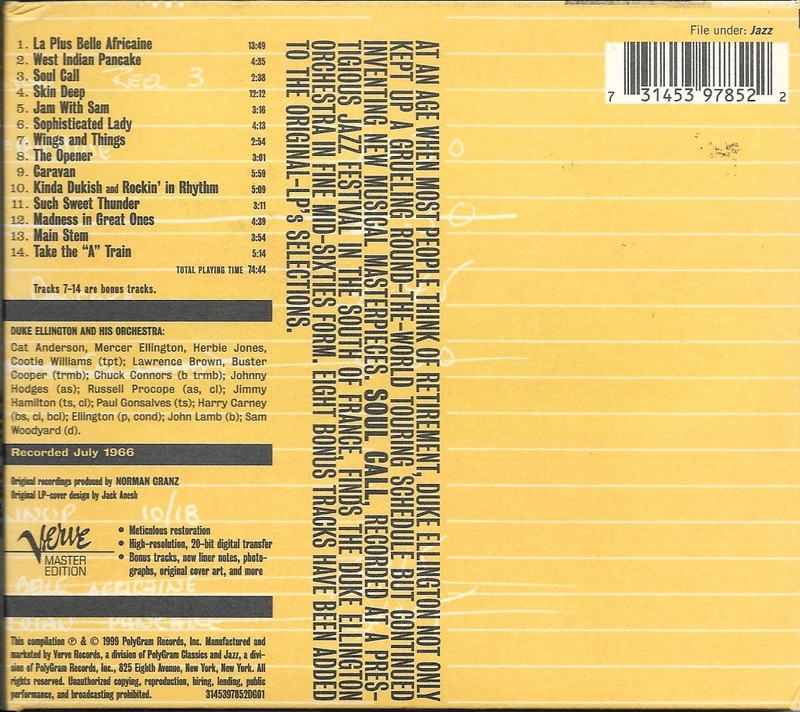 On a side note: this seems to be a pre-release promo CD. 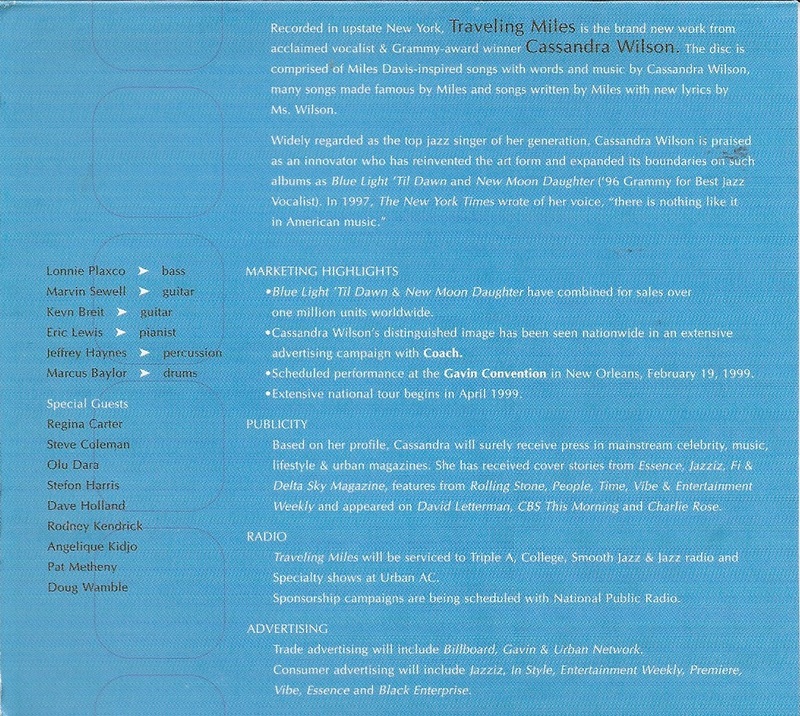 The interior-cover is full of publicity info. 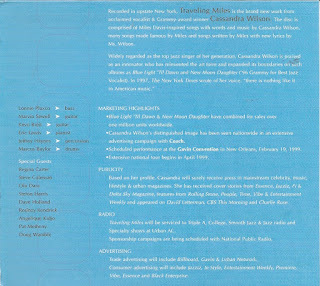 A small look behind the curtain of the music business. 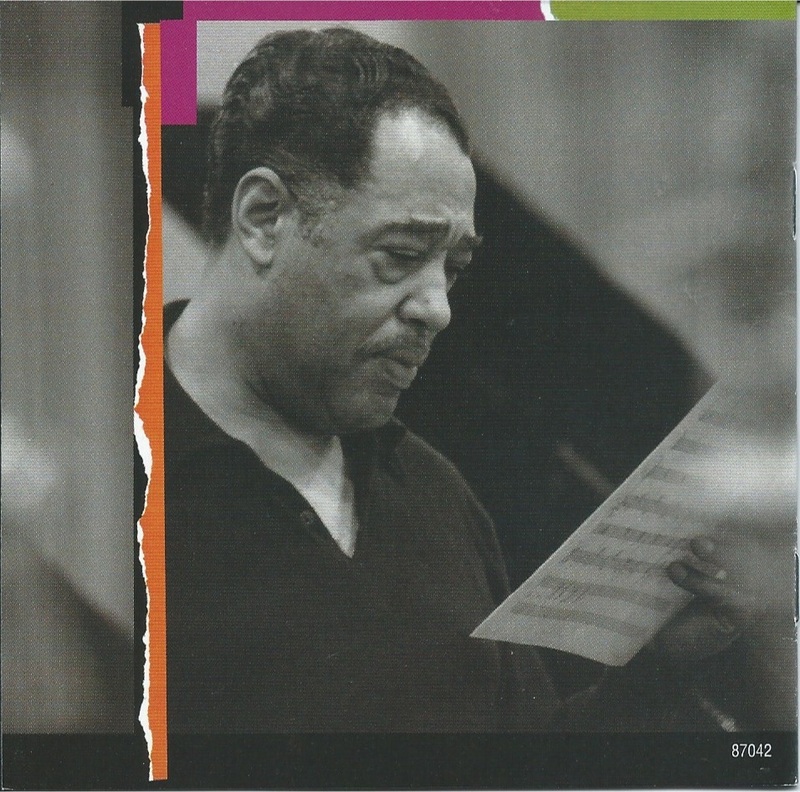 Plus, I found a different cover for the final release, and it included a photo of Wilson recreating classic Miles cover. It seems spring has finally arrived with the first sunny day in weeks. It made record hunting a pleasure. Enjoy. 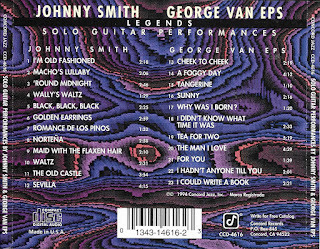 Sunday Music Muse day - Johnny Smith, George Van Eps, Ralph Towner, Thelonious Monk. This week's Sunday Music Muse Day, again finds us suffering cold, icy, weather in the what is supposed to be Spring. Although our region seems to have been spared the ice storm predicted, it's still cold, grey and dreary. 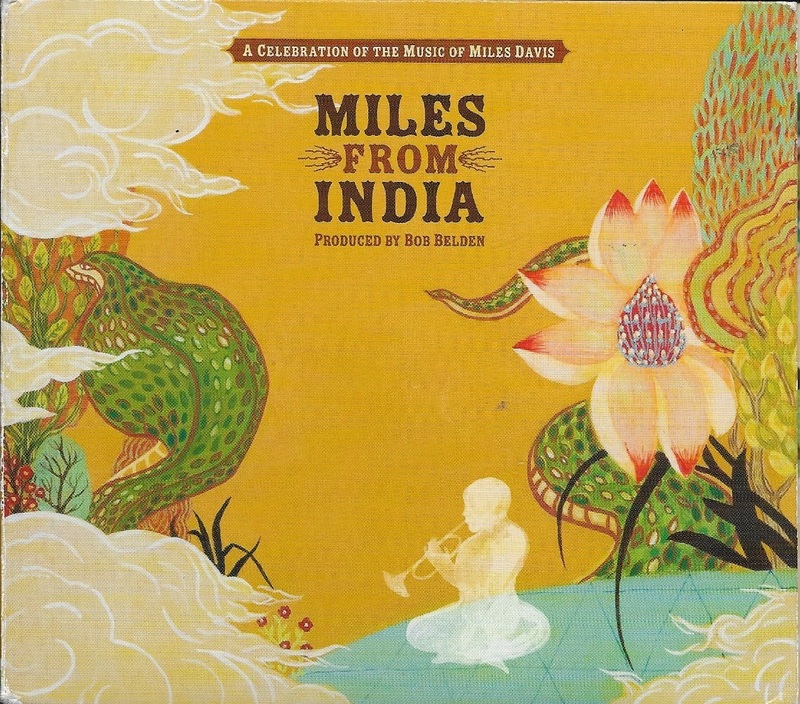 The way to brighten the day is with some good music. I started the morning with The Definitive Thelonious Monk on Prestige and Riverside, a 2 CD collection of Monk tracks from his albums on the those classic record labels. 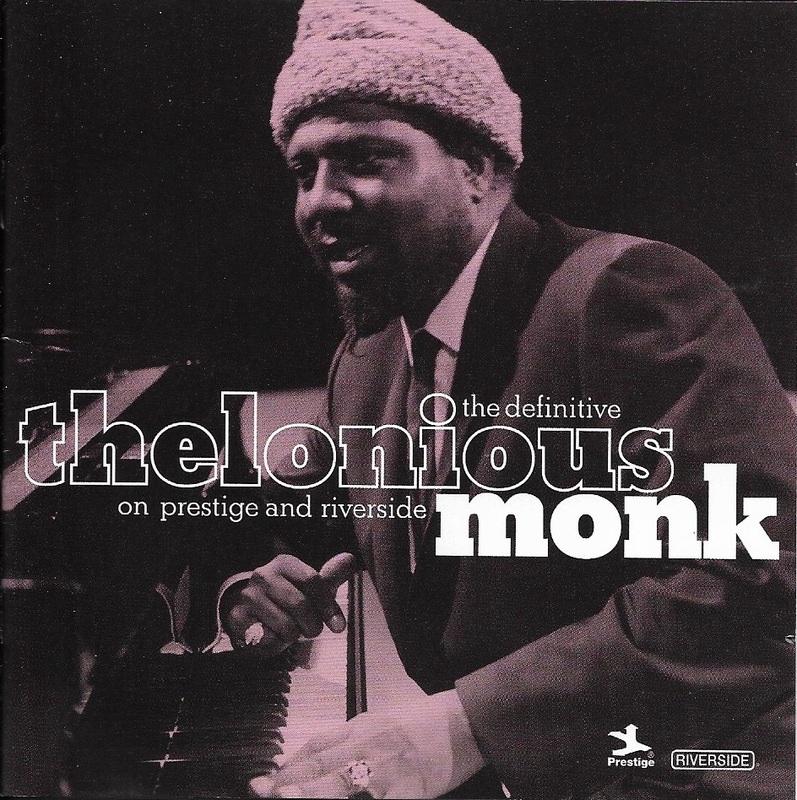 I admit to coming late to Monk's catalog of music. For me his name always conjures up visions of adventurous, and thoughtful music. 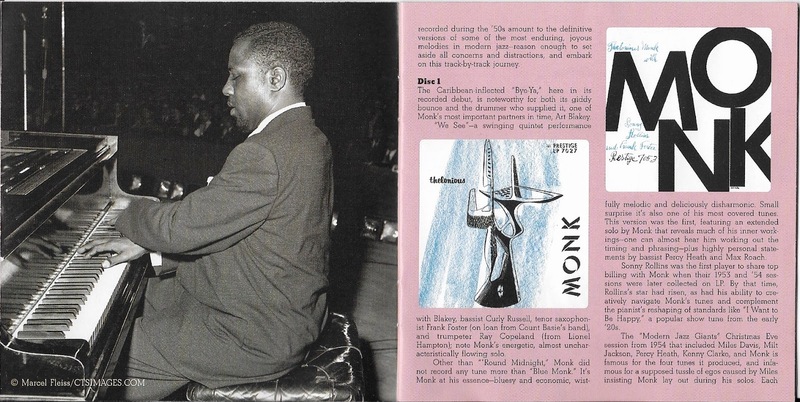 The 18 page booklet contains tons of info, and reproductions of album covers. 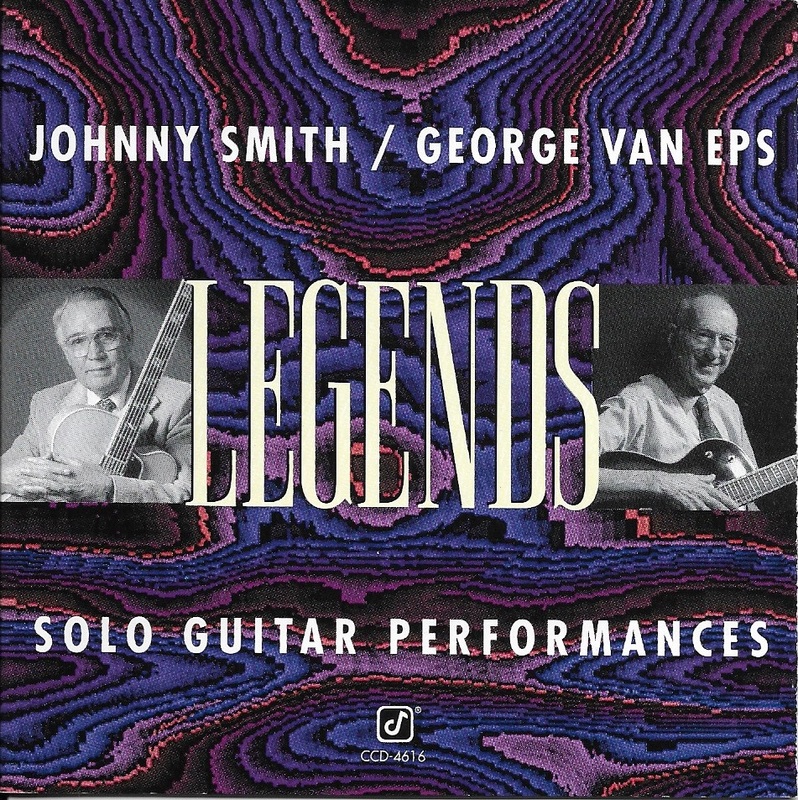 As I settled into midday, I enjoy this CD of two legendary guitarists, Johnny Smith / George Van Eps Legends: Solo Guitar Performances. 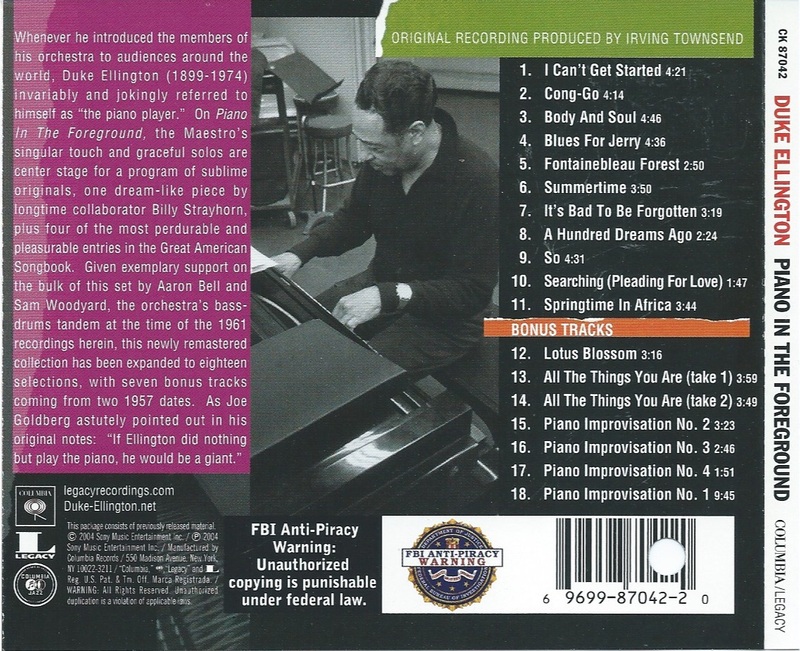 This mellow and gentle CD glows with quiet fire and musical integrity. 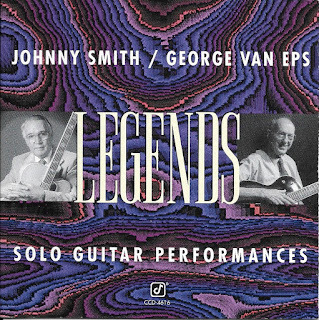 Johnny Smith had a hit with Stan Getz in 1952 with "Moonlight in Vermont". His session on this CD was recorded in 1976. 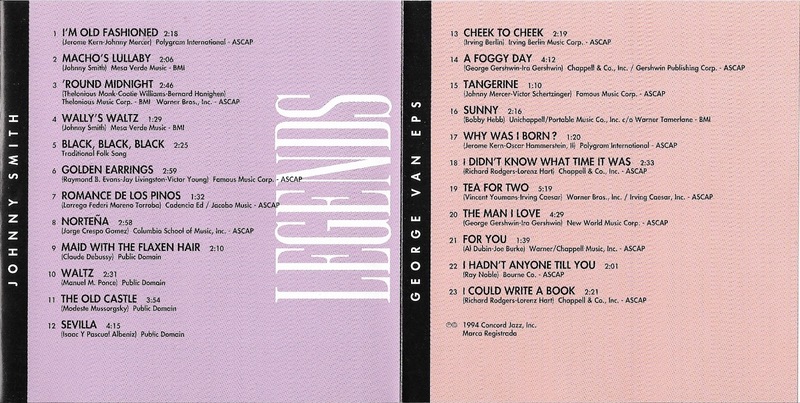 George Van Eps lengthy career credits includes playing with Benny Goodman, and Frank Sinatra. 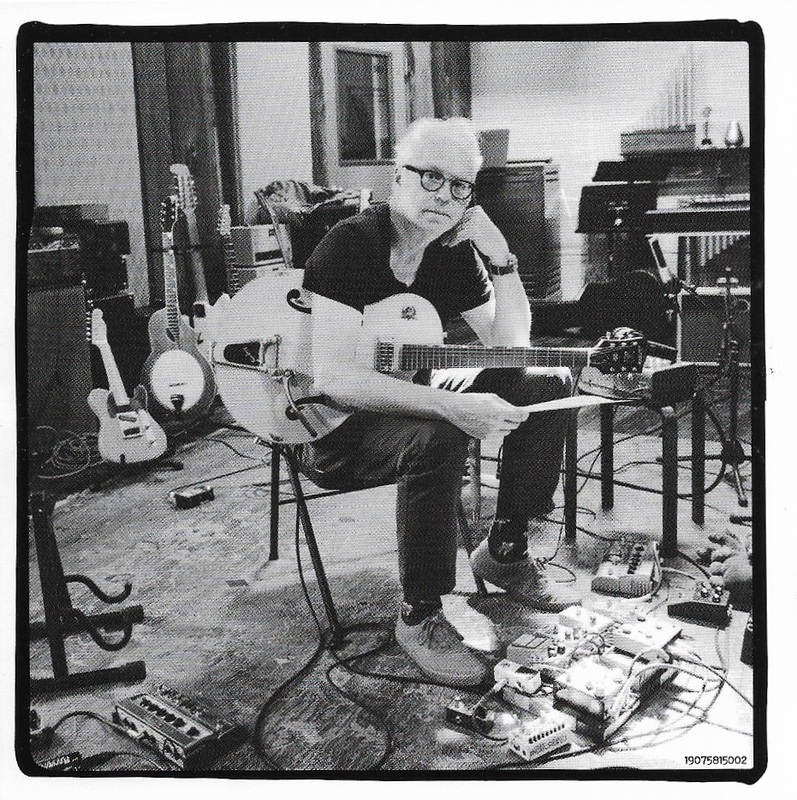 He is well known for his developing and using the 7-string guitar, which extended the low range. (I had trouble stringing a 6-string guitar, so playing 7-strings in out of the question for me). 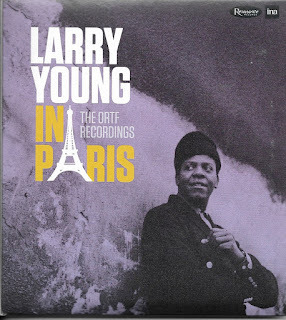 This is perfect background music for a winter day (in Spring) or a quiet gathering of friends. Try it. 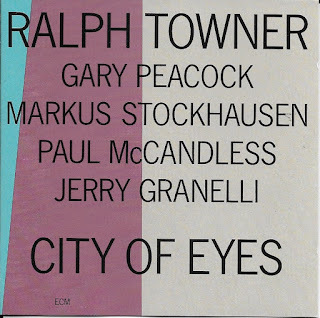 My last selection is Ralph Towner City of Eyes, which finds the adventurous guitarist displaying his multi-instrumental talent beyond his usual classical guitar with 12 string guitar, piano (actually his first instrument) and Synthesizer. 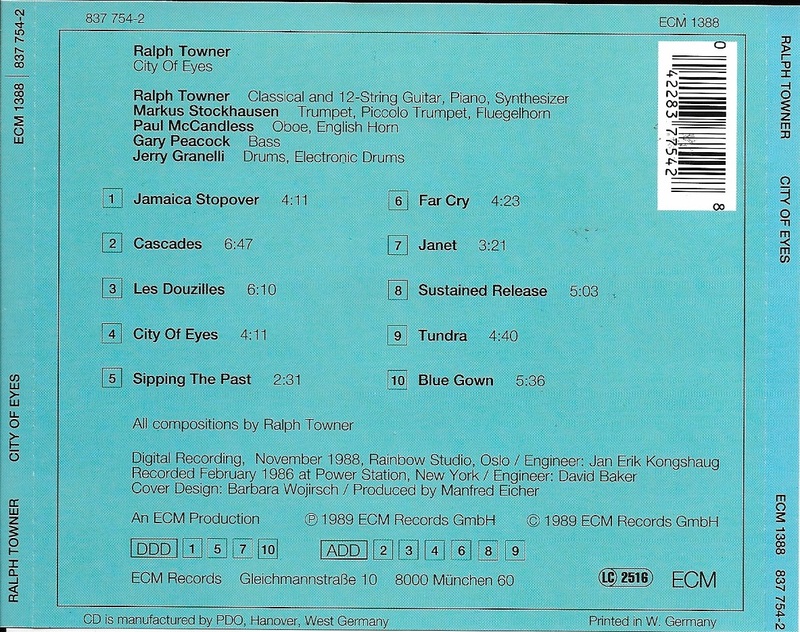 The group also includes Paul McCandless a band mate from Oregon, on Oboe and English horn. 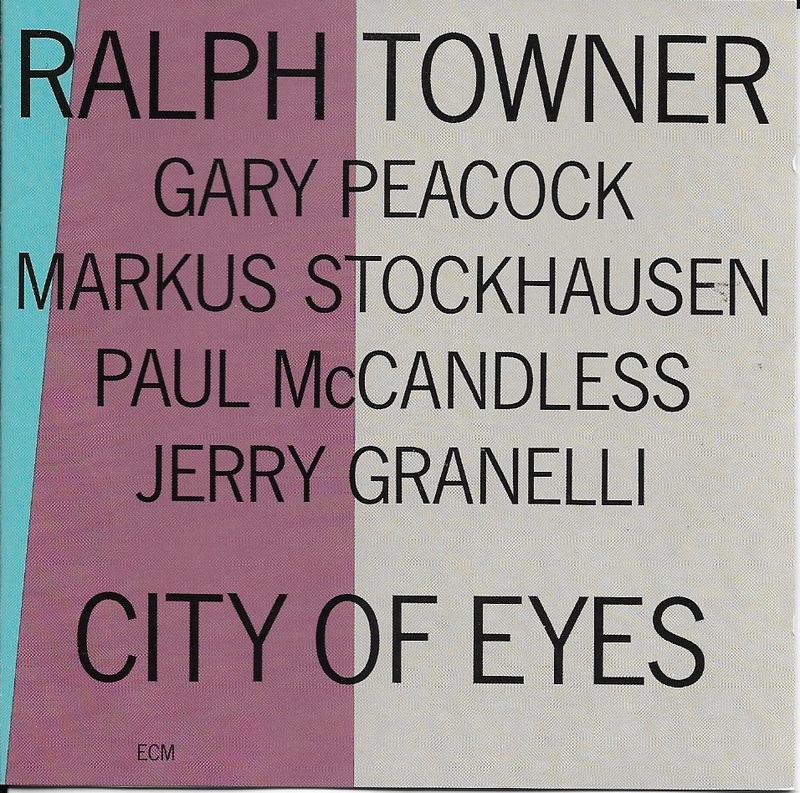 A online review states "In essence, City of Eyes shows Ralph Towner as a musical explorer again, a composer and instrumentalist who can persuasively create aural travelogues through time, space, and terrain." 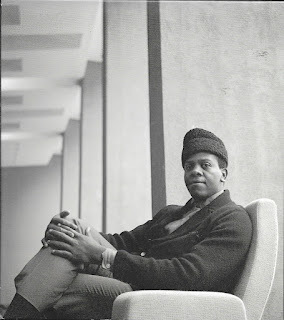 I would agree and intend to enjoy the journey." 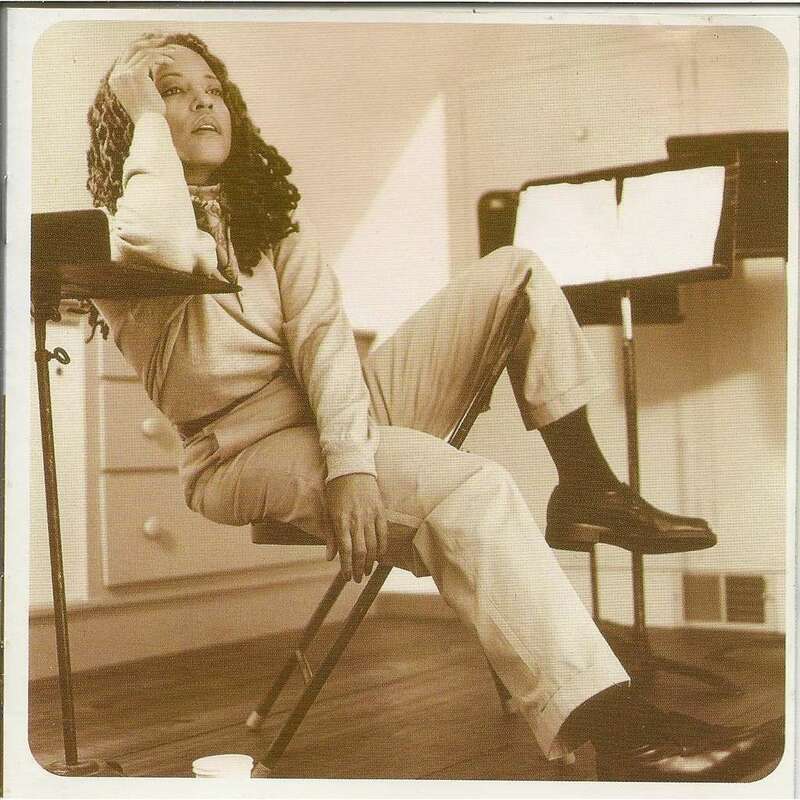 Eventually, spring will arrive, until then we have to use music to bring sunshine into our days. Enjoy. 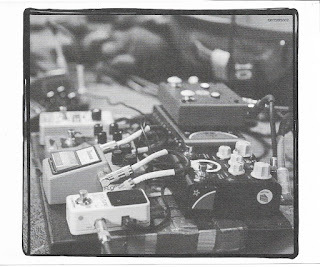 Welcome to another springtime Sunday Music Muse Day, although snow on the ground and cold weather (here in north western New York state) might confuse you. Today's two selections have has a common connection of personal and emotional issues for both artist. 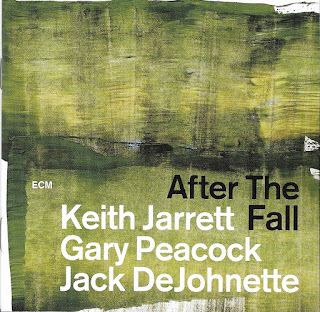 First, is a new release of a1998 live recording by pianist Keith Jarrett, After the Fall, with Gary Peacock on bass, and Jack DeJohnette on drums. 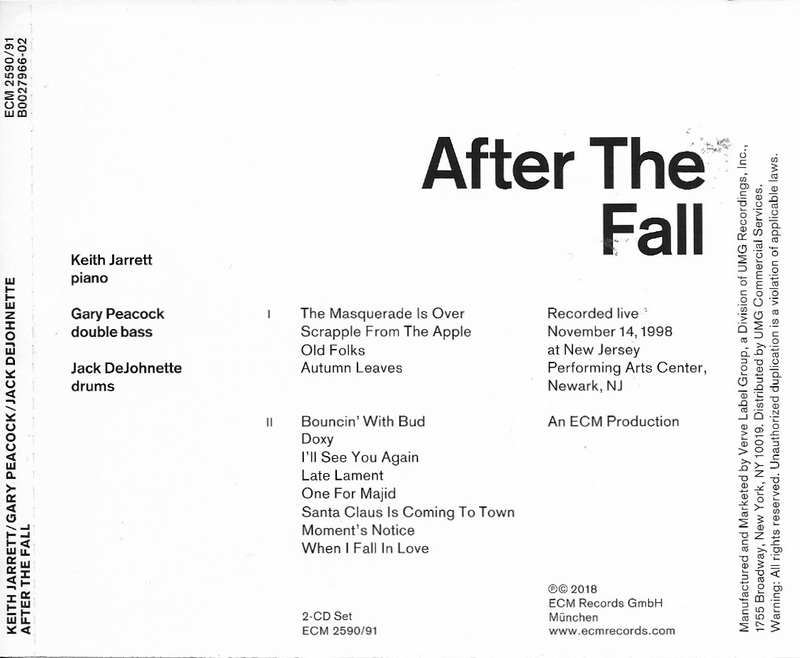 This 2 CD set's title refers to Keith Jarrett’s “fall” into a bout of chronic fatigue syndrome in autumn (or fall) 1996. 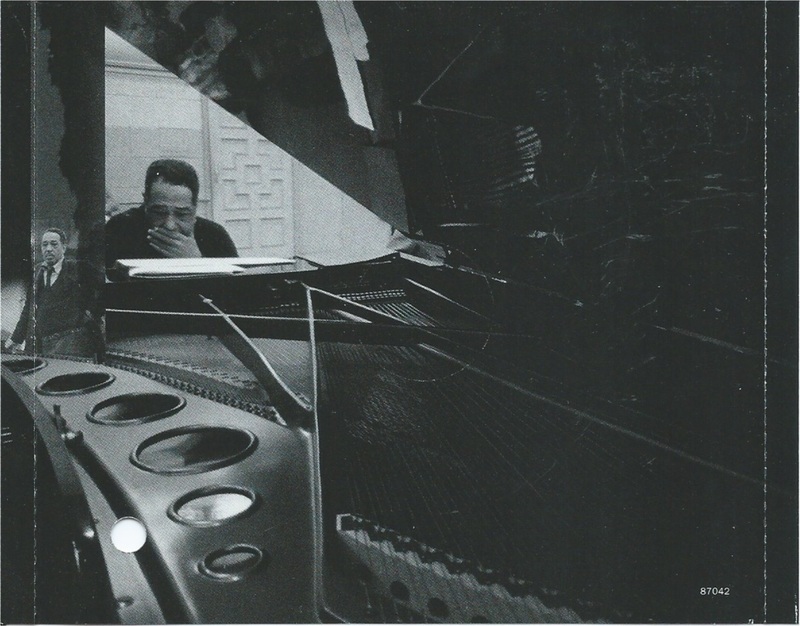 The illness kept him from playing publicly for two years. 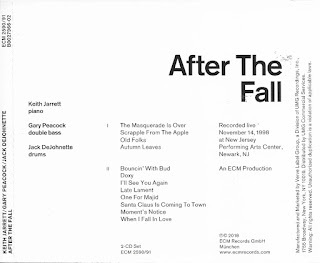 This concert, recorded in Newark, New Jersey, near his home, was his first post-recovery attempt to play before an audience. In many ways a personal triumph for him. 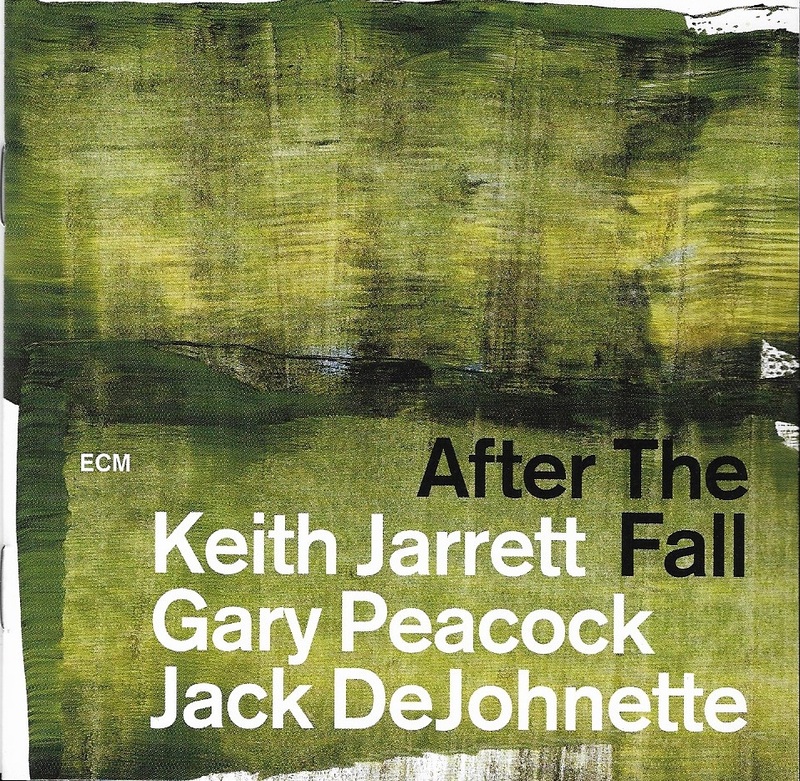 I admit I'm not a giant fan of Keith Jarrett, but this is a joy to listen to, even without knowing the context. 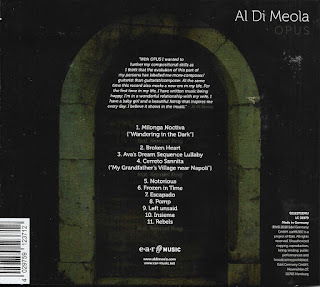 Al DiMeola Opus, his latest release, also, finds the fusion-famed guitarist stating, "for the first time in my life, I have written music being happy. I'm in a wonderful relationship with my wife. I have a baby girl and a beautiful family that inspires me every day. 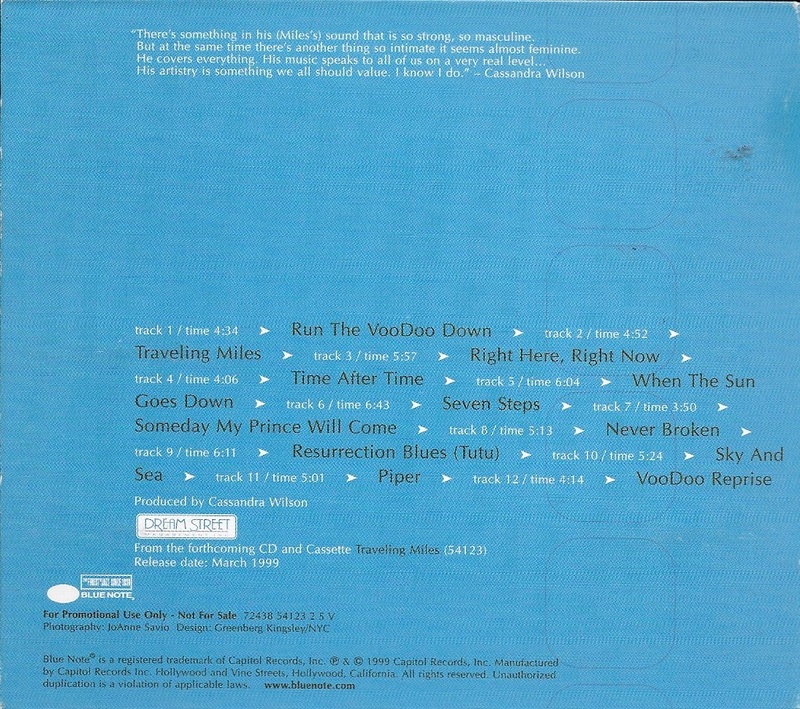 I believe it shows in the music." I have no details to fully understand what he's referring to. as being unhappy. He adds in this music he sees himself furthering his compositional skills to become a "composer/guitarist" rather "guitarist/composer". 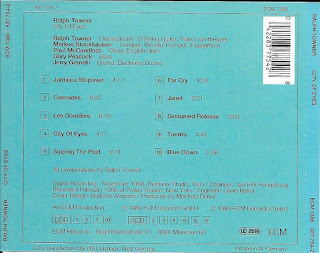 I'm more than happy to give this repeated listenings to figure the different. Both these musician show that there has to be a attachment to the full experiences of life, the good, and the bad, Those experiences help shape the music, whether the audience is ever aware of it. 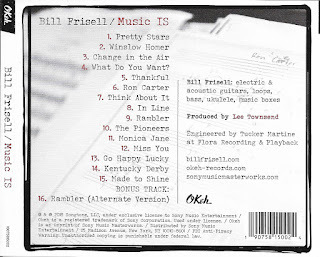 Here's my Sunday Music Muse Day post on Easter Sunday/April Fool's Day. 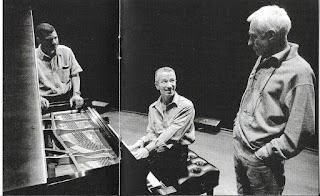 I thought I'd be writing about the John Abercrombie Tribute Concert I had planned to attend last Monday in NYC, but that didn't happen (a tale share with friend elsewhere). But during the New York trip was able to pick up my first two picks. Larry Young in Paris: The ORTF Recording is the excellent 2 discs Resonance Records release of the late organist concerts in 1964-65. 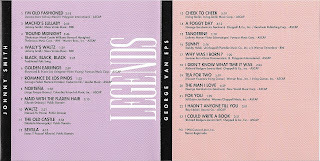 This CD set is getting 5 star reviews for critics, and well worth every star. 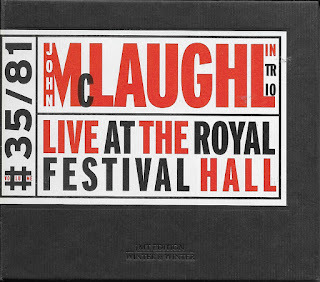 This set is a much ore straight ahead jazz than my first exposure to Larry from the original Tony Williams Lifetime, Tony's high energy fusion group (with John McLaughlin on guitar) he formed after leaving Miles Davis. 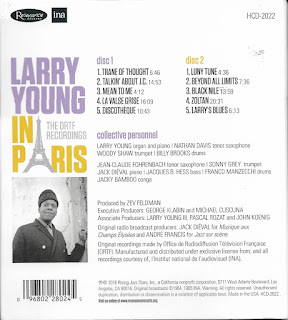 Only much lately did I realized he had stellar position the jazz world. 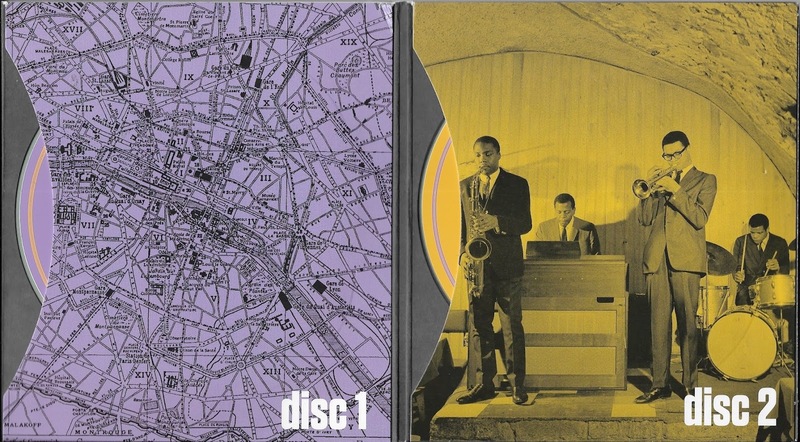 This is great set with Resonance's wonderful packaging including a 66 page booklet of info. By next pick is slight embarrassment, as I actually already own a copy. 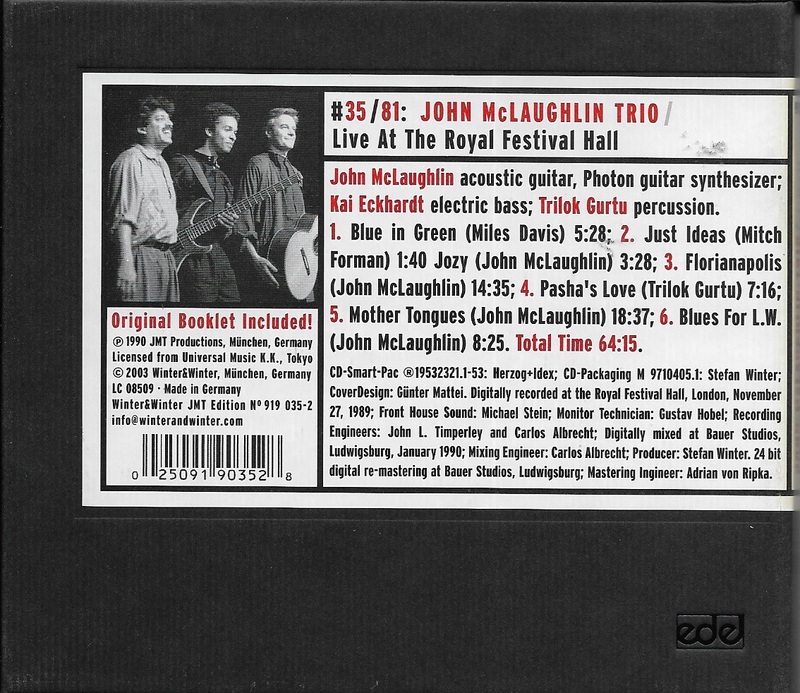 John McLaughlin Trio Live at the Royal Festival Hall November 27, 1989. The title sounded familiar, but the packaging was totally different, so I took a chance. 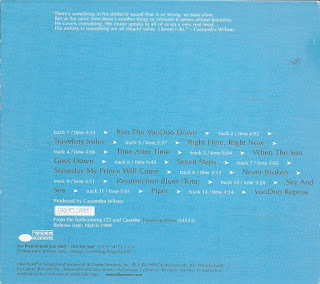 Only after opening the cardboard case and seeing the insert, that is the same as the other copy's CD cover, did I realize my error. 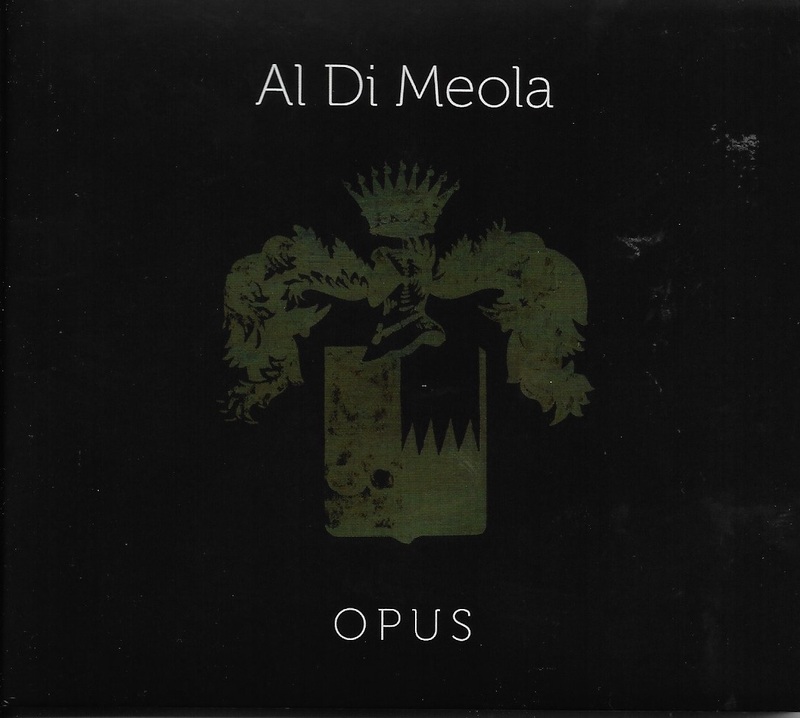 Still great music from a favorite guitarist of mine. 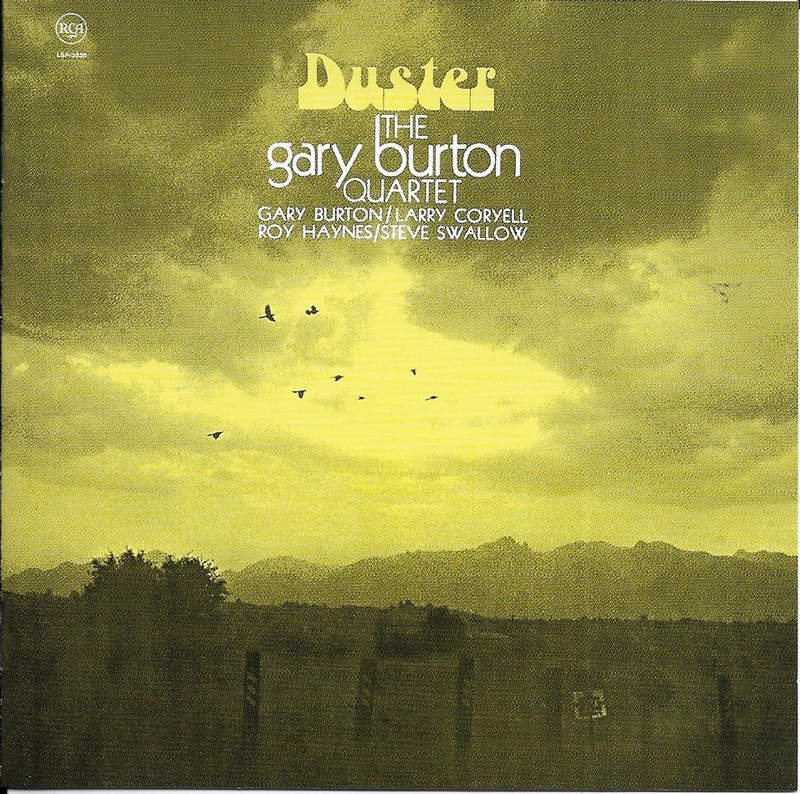 Yesterday, I visiteda local Vinyl Record fair and found a Japanese CD release of The Gary Burton Quartet Duster album. 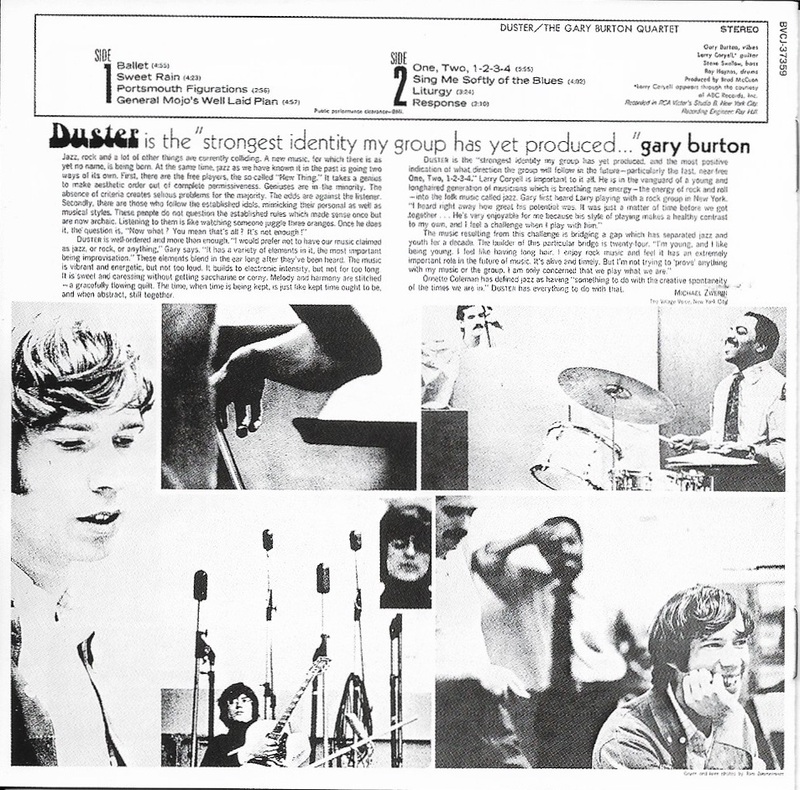 Duster is often considered to be one of the first jazz fusion albums, with guitarist Larry Coryell, bassist Steve Swallow, drummer Roy Haynes, leader Burton on vibraphones, recording in 1967. 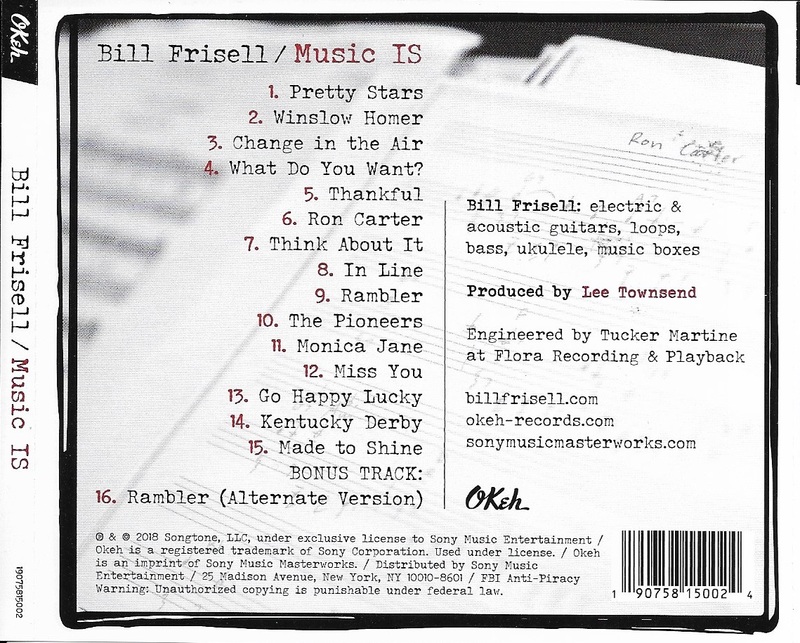 Even 51 years later the music still sounds fresh. 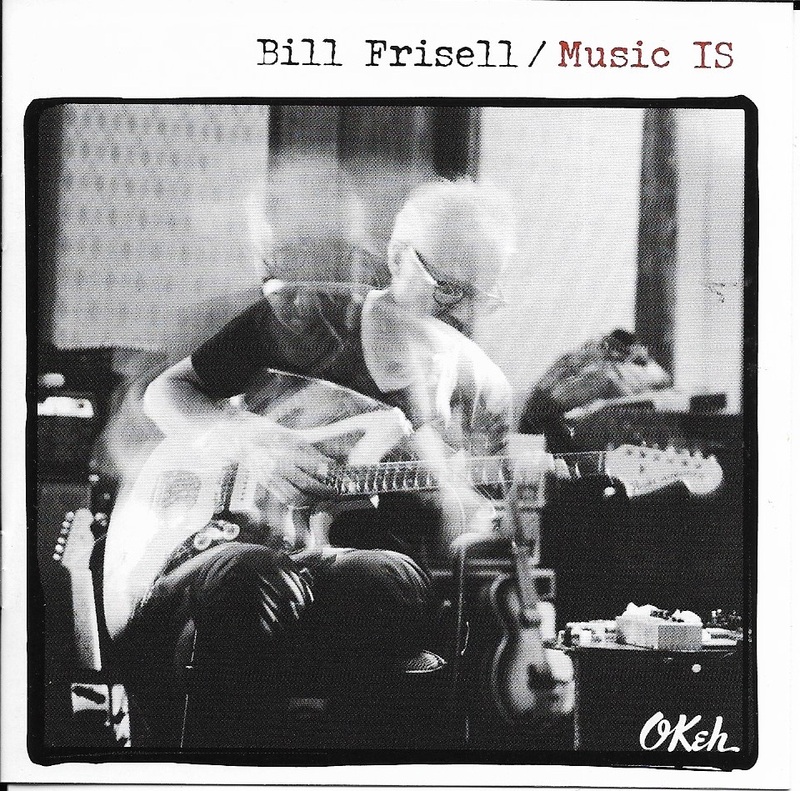 Rounding out my weekend CD shopping I was happy to find Bill Frisell Music IS, his latest release. 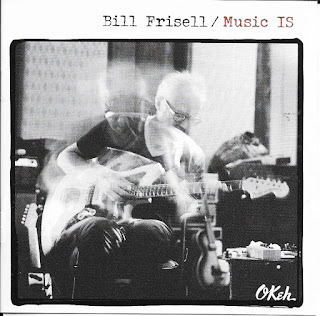 Bill played at the Abercrombie Tribute I missed, so I think of this as a consolation prize for missing him there. 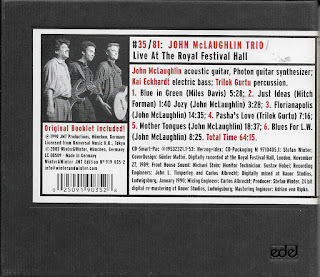 If you're a guitar gearhead you'll have to check the efx boxes Frisell uses in this solo outing. It's really impressive, as is the music. So, Happy Easter to all, hope your April Fool's Day was a pleasant one.